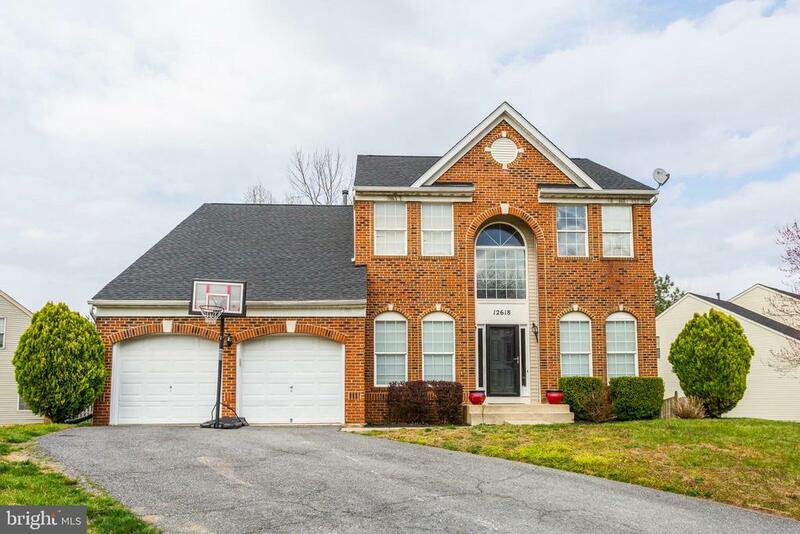 Welcome Home to this gorgeous Upper Marlboro Colonial. Built in 2000, this home is nestled on a corner lot in the sought after Fox Chase neighborhood in Upper Marlboro. This home is absolutely amazing and shows like a model. It has been meticulously maintained and creatively decorated throughout. There are too many special features and upgrades to name. There are 3 levels making this home over 4000 sq/ft of finished space. The main level includes a 2-story foyer, separate living room and dining room, hardwood floors throughout this level, an open family room, eat-in kitchen with stainless steel appliances, granite countertops, center island with bar stool space, 42-inch cabinetry, an office, laundry room, half bath, and 2-car garage. The upper level includes three very spacious bedrooms, a full bath, an overlook into the foyer, an enormous master bedroom with two walk-in closets, a master bath which includes a double sink, shower, and soaking tub. Be prepared to be stunned and amazed. The lower level is a haven for entertainment and its beauty boasts with a large open recreation area, half bath, full wet bar and media room with projection television for your next super bowl party or the perfect movie night. The outdoor space includes a large fenced in yard, with deck. Love the decor? The owner is willingly to part with most if not all furnishings! This house will NOT last long. It is the perfect price, perfect space, in the perfect neighborhood. Come view it before it~s too late!